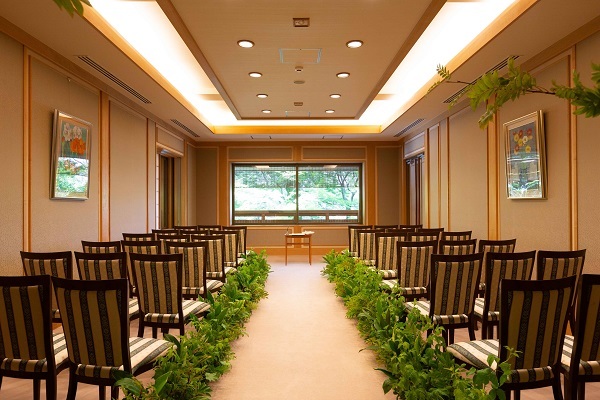 The setting for the wedding ceremony. The image of the Japanese Autumn. The style looks good not only with the kimono, but also with the dress. The observatory from where you can have a view of whole city of Kyoto. 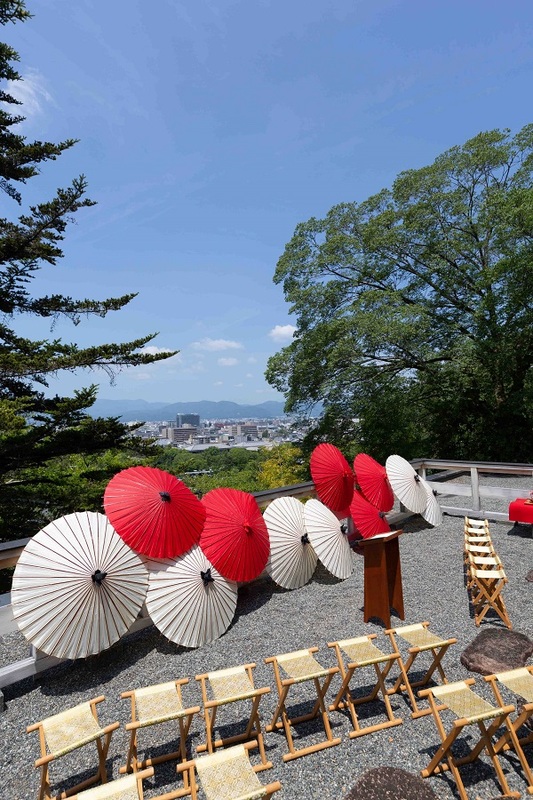 Decorated with many traditional umbrellas… making it looks good place for the wedding. 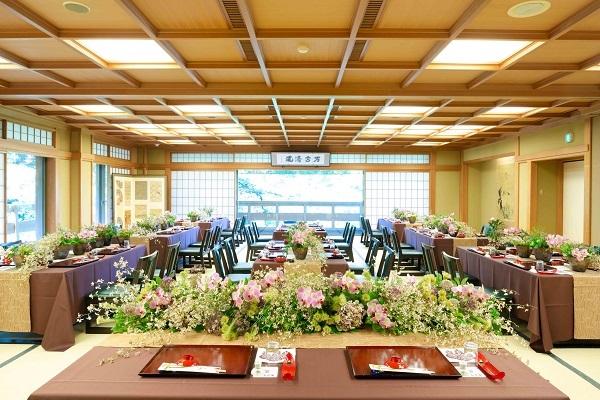 We held a wedding fair at Saami (ryoutei restaurant) on August 5th. We are really pleased that it’s 14 years since we started this special fair twice a year. This time, we wanted our guests to enjoy more than the past events, so we tried to create the new space with a help of the florist. We had a variety of guests at the fair. Among them were the couples who will get married this Autumn and next Spring, or who are still looking for the venue. 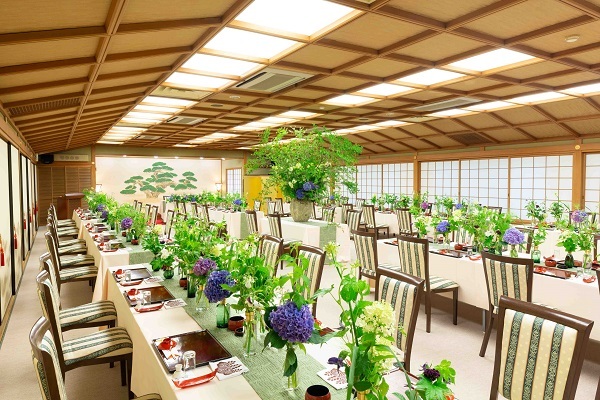 We would like to thank all the guests, Saami ryoutei restaurant and all the other suppliers.